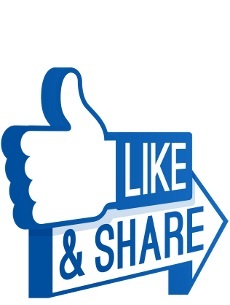 Limahl, the Costa Blanca, and Crash Wednezday! 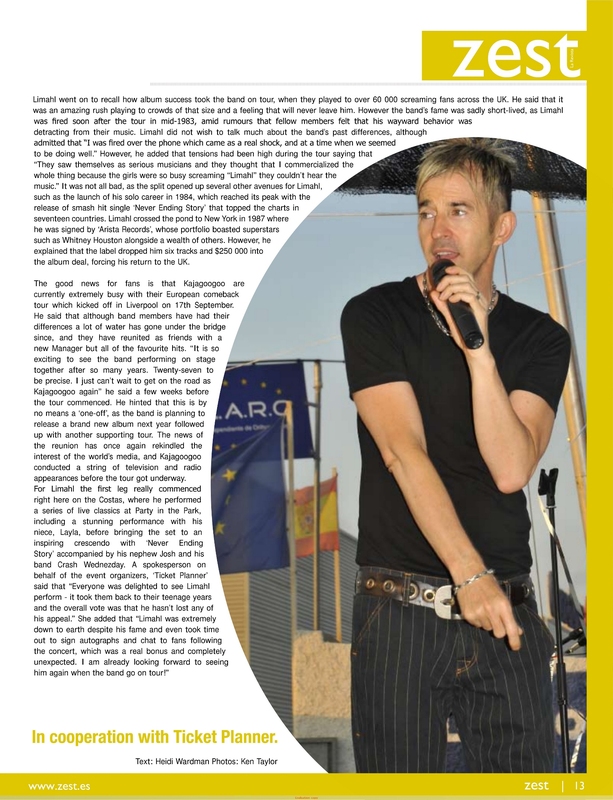 Back in 2009, Limahl performed at the 3rd Annual ‘Party in the Park’ event that took place in Punta Prima on the Spanish Costa Blanca. Not just the headline act, Limahl also performed with young new band ‘Crash Wednezday’ and their guitarist Josh Gillespie, who just happens to be Limahl’s nephew! 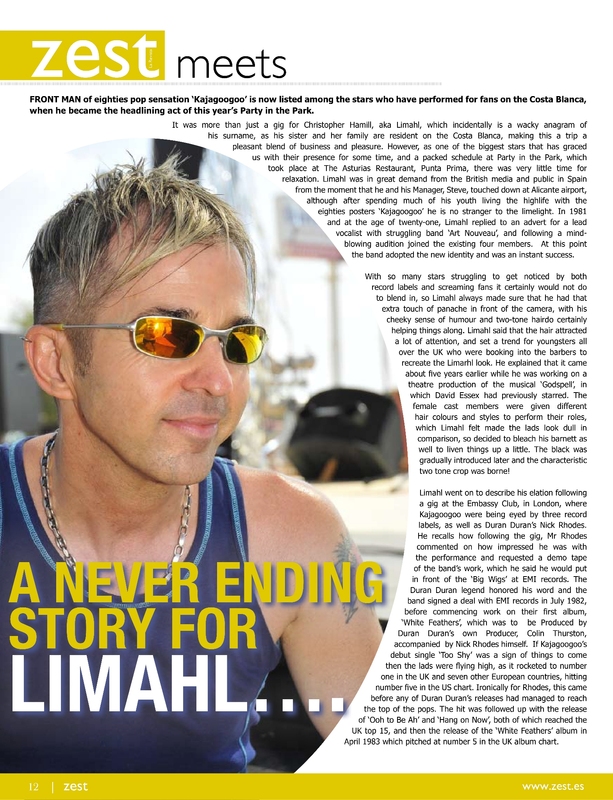 Limahl received significant media attention prior to the event, and it is one of those interviews that we feature here today. The below scans are taken from ‘Zest’ magazine, who seized the opportunity to ask Limahl about all things past, past, present and future. Wow!! 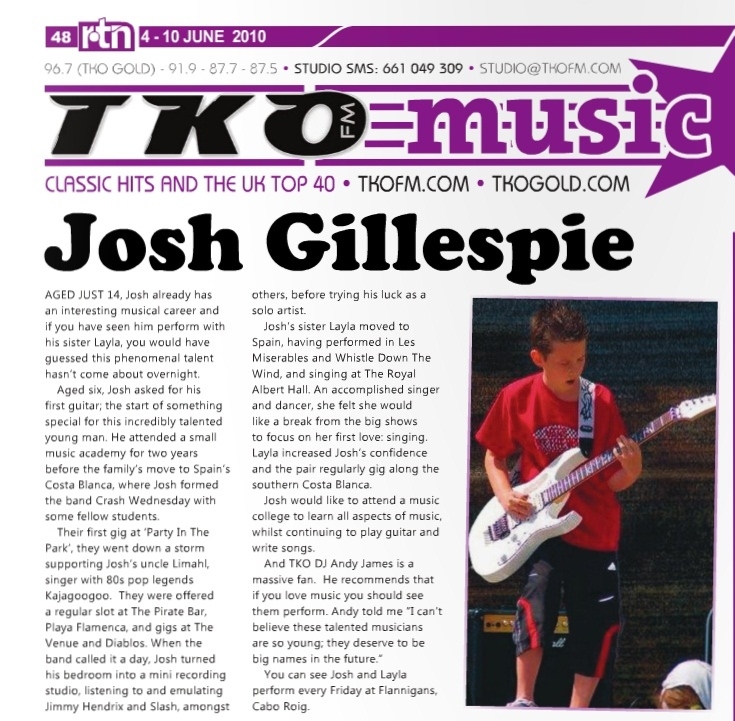 He’s awesome 🙂 As the mother of a budding guitarist, I know how expensive it can be…. but I also see the enjoyment my son gets from playing.